So maybe a year ago I was listening to my favorite podcasted radio show Good Food from KCRW in Los Angelas and they had this article about this cheese that you could actually grill. That episode is here for your listening pleasure. So this cheese, called Halloumi, is from Cypress and I recently discovered that they have it at 10th St. Market. Though I am unjustly (based on monetary payment) not featured in the new 10th St. Market commercial, and despite the fact that it’s kind of expensive I purchased a single block of Halloumi cheese to grill at our cookout yesterday. This stuff is AWESOME. It really does grill, and does not melt. 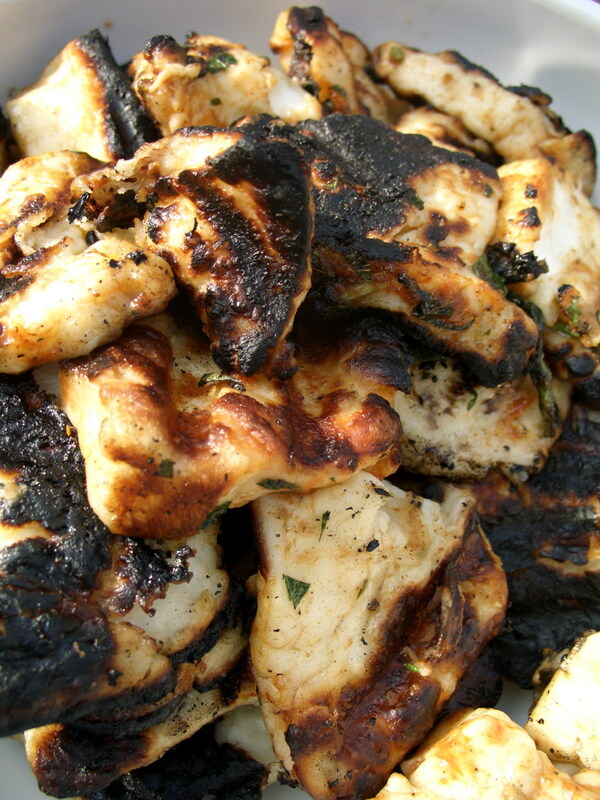 When it heats up it releases lots of its oil into this chewy, salty, blackened, cheezy mass. As one thrilled party-goer remarked yesterday, it’s like grilled cheese without the bread. For once I honestly can’t think of anything I’d want to do to this cheese. I don’t want to marinate it, or coat it, or soak it, or anything really besides eat it. But I do think I’ll put it on shish kabobs at the next cookout I attend!